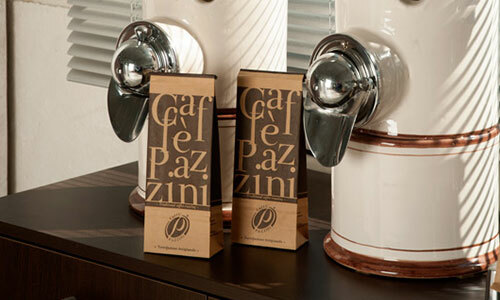 Caffè Pazzini is the first coffee brand in Italy that works only raw materials from Fair trade and organic commerce. We have distinguished ourselves from other companies, we really believe in what we do, we like to be sincere and honest with our customers. We do not make a mass product, we want to work with people who have the passion and desire to learn. 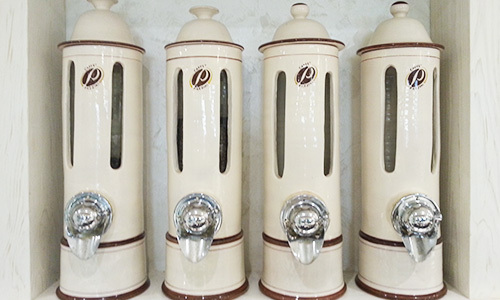 Caffè Pazzini has designed and patented a model for silos for the resale of coffee, are handmade majolica, each of them is a unique piece. They contain 3 kg. of coffee beans, as well as being a beautiful object of furniture, are designed to retain coffee optimally due to the hermetic closure and the low light filtering inside. Coffee taken from the silos is weighed in grains and poured into a special bag grinder. 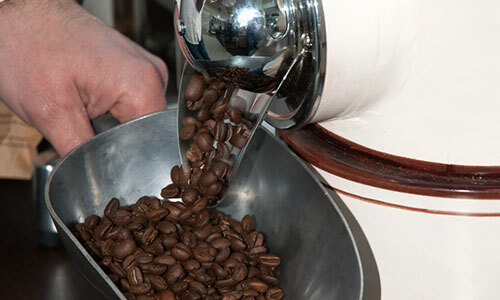 Nothing is worth the fragrant aroma of a freshly ground coffee, this method gives a guarantee of freshness and the possibility to personalize the grinding according to the needs of the consumer. Our goal is to do resales of coffee in all the places of Italy. They will have to be places where coffee is also given in a cup. We are selective in the evaluation of activity and location. Zone Exclusion is given after evaluating the resale functionality.